Having a strong belief in the value of owning real estate for the long term, Emelyn has personally invested in single family homes and commercial buildings. With that experience, she became a licensed broker in 1997 working with buyers and sellers in the front range of Colorado. 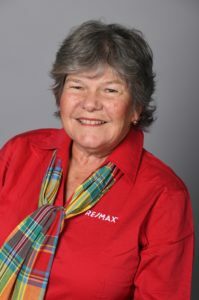 Prior to coming to RE/MAX, St. Croix, Emelyn owned and managed her own real estate firm in Gilpin County for nine years. She continues to be licensed in Colorado. Education has played a key role in Emelyn’s success. In 2007, Emelyn was named CRS of the Year for the state of Colorado and received the prestigious National Association of REALTORS Omega Tau Rho Award for Outstanding Service. Emelyn is committed to providing exceptional customer service to her clients and customers. Many of her clients return for additional transactions or refer their friends and family knowing they will be treated with the utmost professionalism. Her clients’ needs always come first. Raised in Arlington, VA, Emelyn relocated to Denver in 1973. She has two grown sons, Chris and Josh and is the proud grandmother of delightful, Colin, adorable Caleb and precious Abigail. Emelyn purchashed her home on the island in 2005 and enjoys traveling with husband, Jim, and dog, Jake. 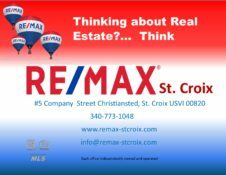 An avid photographer, she loves sharing her images of St. Croix, USVI.